Speaker of the House of Representatives Hon. 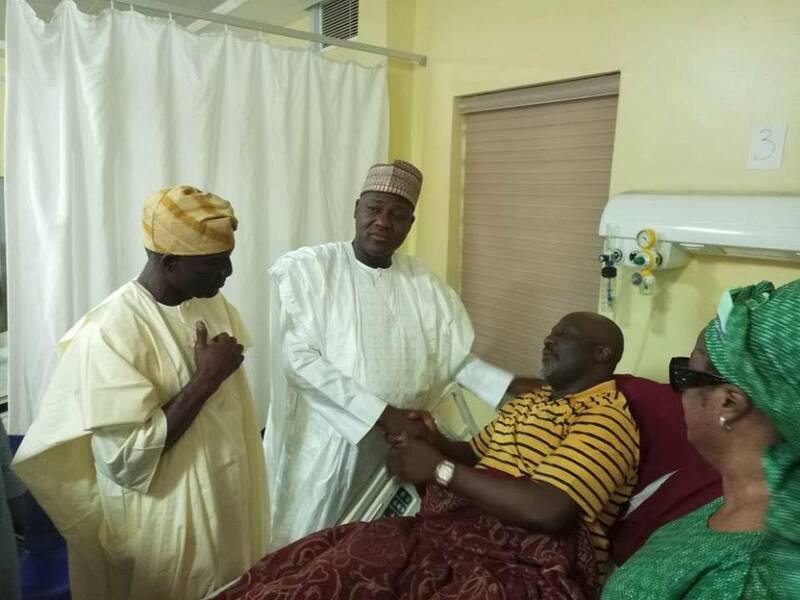 Yakubu Dogara Tuesday led other leaders and members of the House to visit Senator Dino Melaye at the National Hospital Abuja. Hon. Dogara accompanied by his deputy Yusuff Lasun, Deputy Minority Leader Binta Bello and other members were received by former Speaker of the House Patricia Etteh, and the Chief Medical Director of the hospital Dr Jaf Momoh. Senator Melaye who is asthmatic is receiving treatment at the Intensive Care Unit, trauma centre of the National hospital. The lawmaker developed complications after he was teargassed by police officers conveying him to Lokoja Kogi state last week.